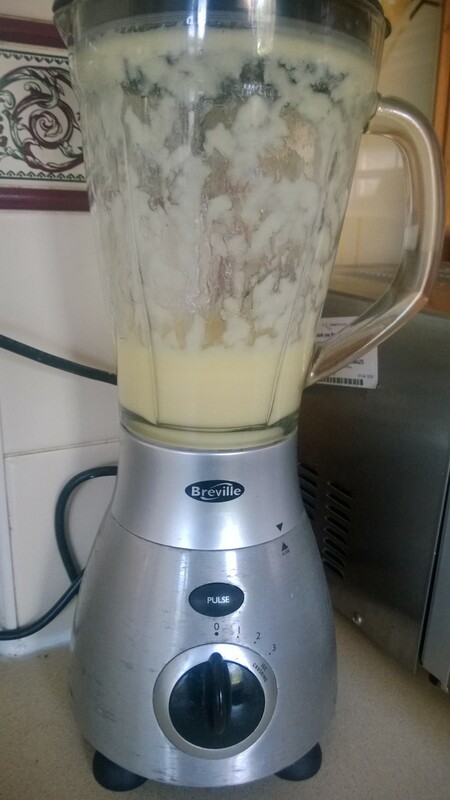 October 3, 2014 October 4, 2014 by AdoremydietLeave a Comment on Pineapple frozen yoghurt recipe…. 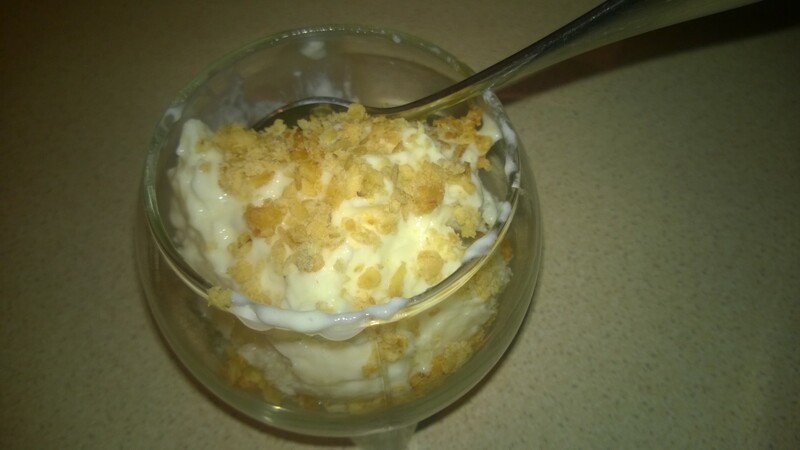 Pineapple frozen yoghurt is just wow… I love this and the recipe is super simple, I didn’t use light condensed milk this time and I am actually very happy with the way it turned out! 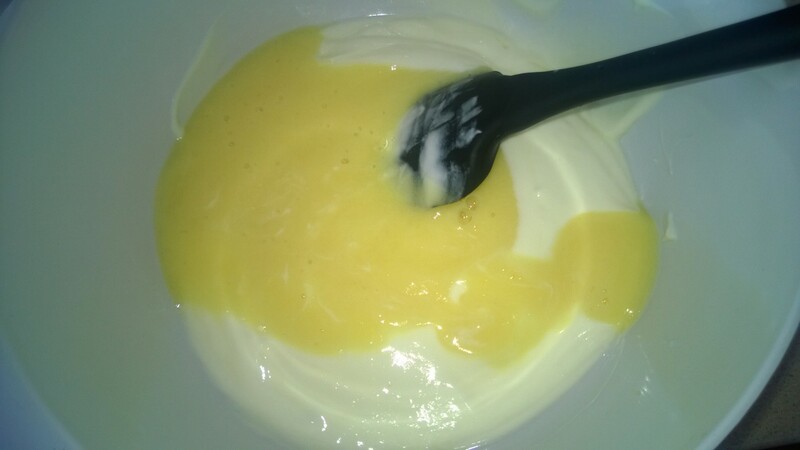 Now, fold everything together until properly mixed! 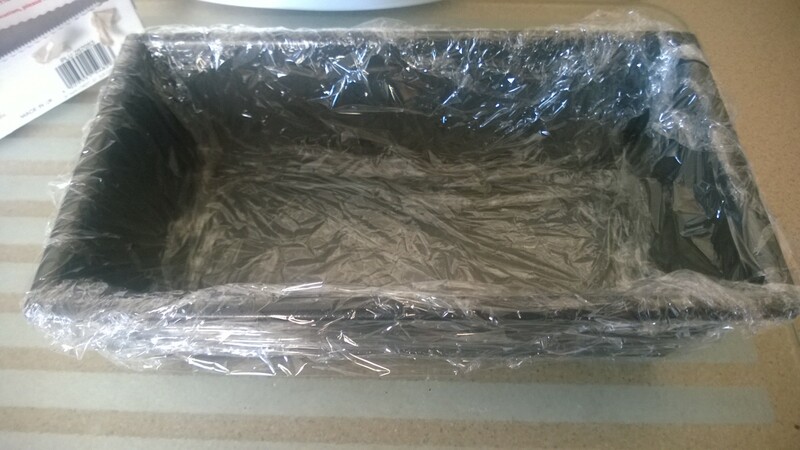 Then fill the pot or loaf tin and if using a loaf tin then cover over with a double layer of cling film! 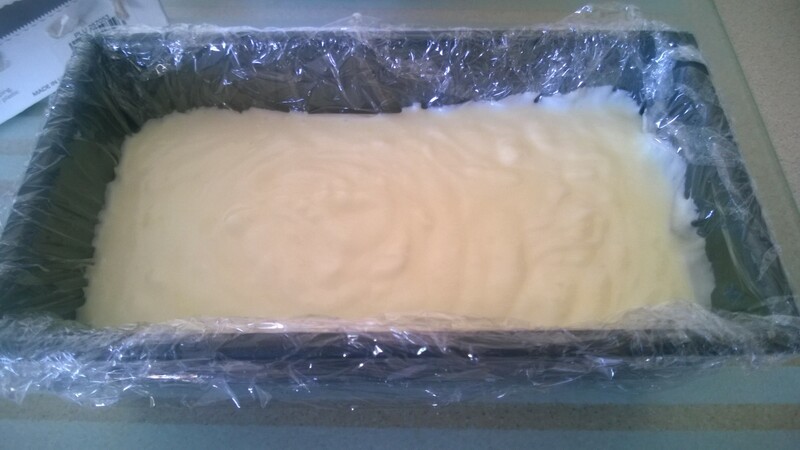 Then pop that into a freezer for at least a good couple of hours but ideally overnight! 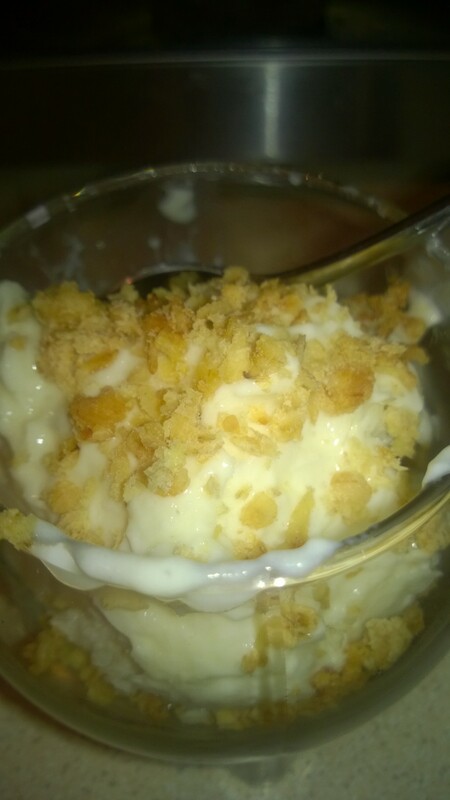 The finished result is a delicious, creamy tasting dessert, tastes just like ice cream. 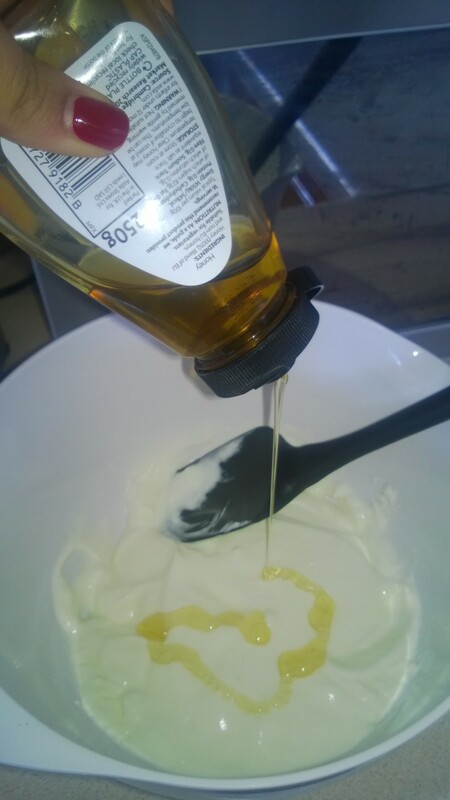 I really loved crumbling the granola on top just to give it another texture. 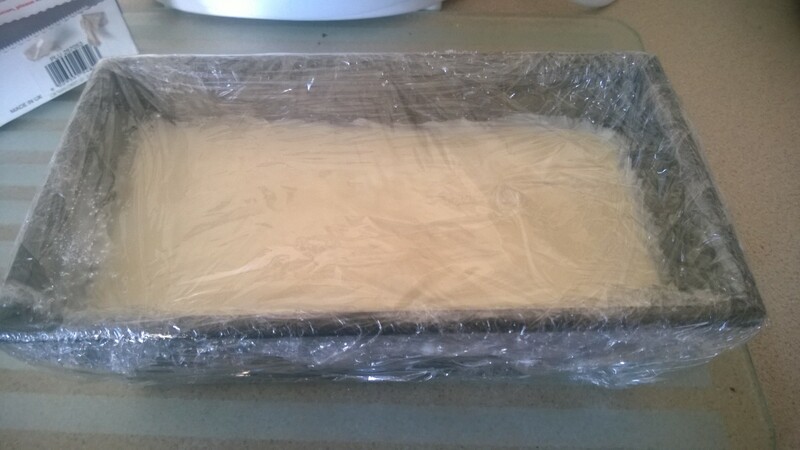 Also, when it has frozen make sure you take the frozen yoghurt out of the loaf tin and you can actually leave it in the freezer just in the cling film. 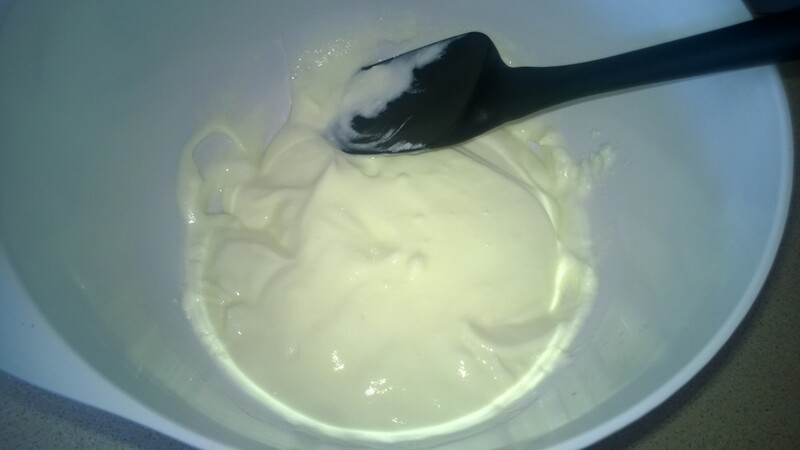 (I like to rush in and slice it like cake and leave to soften for a few minutes and then push it into my dessert glass! 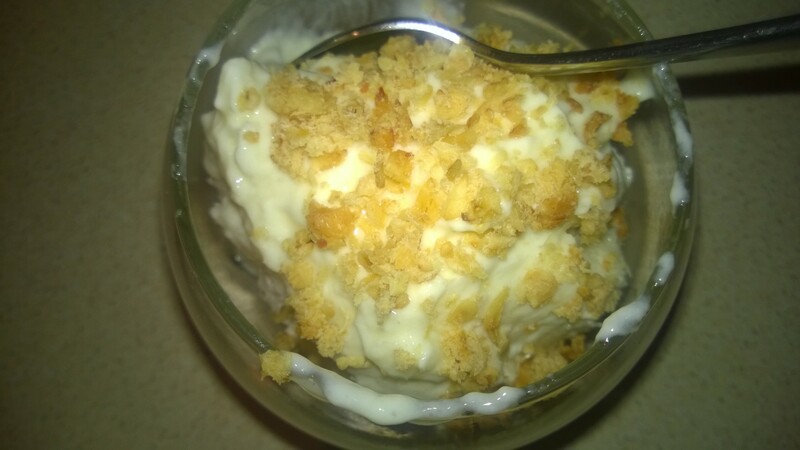 I really hope you give it a go, it really is delicious and super quick to make, my pineapple frozen yoghurt dessert… yummy!